Our facility encompasses over 2,500 square feet, consisting of a waiting room, three dance studio's, a dressing room, bathroom and locker area. 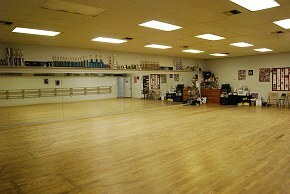 All studios have raised, sprung wood floors and nine foot ceilings to ensure the safety of our dancers. 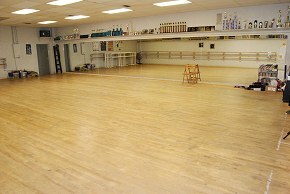 Each room is equipped with wall to wall, full length mirrors, fixed barres as well as portable steal barres for center floor work. Our studios are available for rent based on availability and client needs. Commercial shoots, photography sessions, musical group practices are just a few events that have taken advantage of the spacious rooms and professional studio setting. With multiple options for accommodations nearby, our studios are accessible to dancers from all over the globe. Looking to attend an upcoming intensive? Contact our offices for lodging recommendations and directions. ​Should you be interested in renting a space for your practice needs please feel free to contact our office for rates and availability.